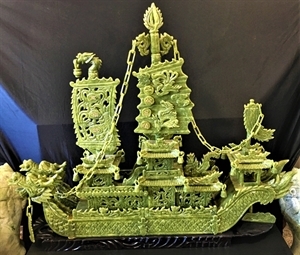 LENGTH: 38 INCHES, HEIGHT: 32 INCHES, DEPTH: 7 INCHES. 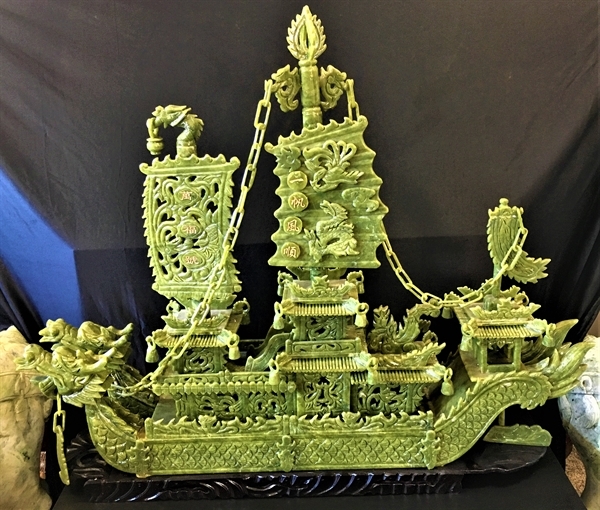 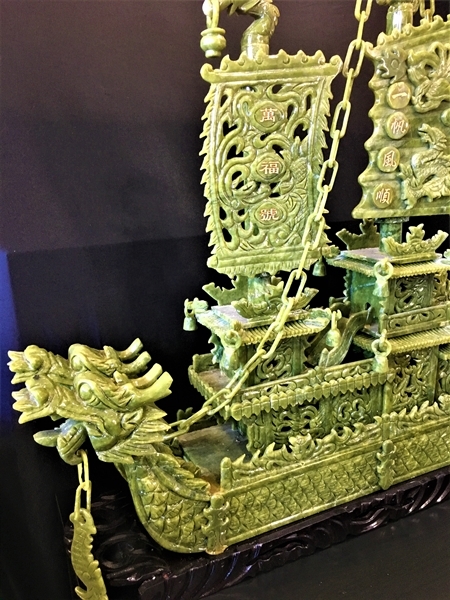 THIS JADE DRAGON BOAT IS MADE OF SOUTHERN JADE IN CHINA. 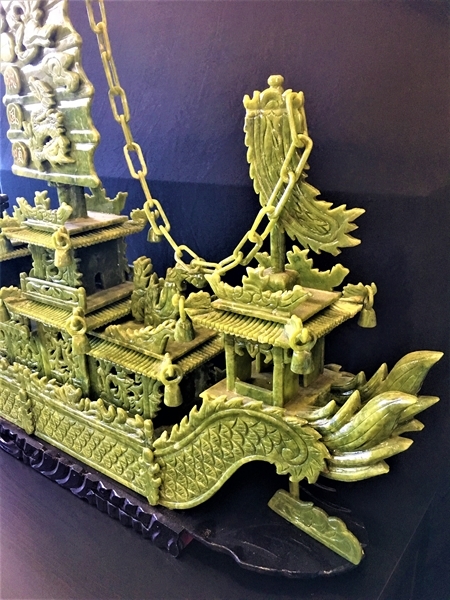 WE ADOPTED THE BEST QUALITY OF JADE TO CARVE THIS BOAT. 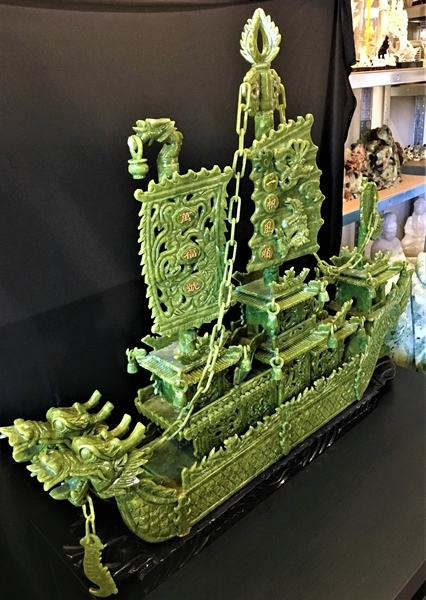 2 TONS OF JADE STONE WERE MADE INTO THIS DRAGON BOAT AND IT TOOK 6 MONTHS, 10 SCULPTORS TO COMPLETE. 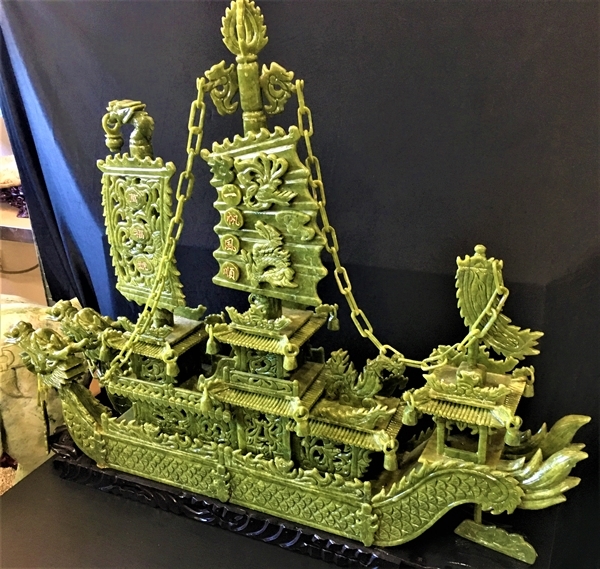 THE BOAT BODY AND THE PARTS ARE SEPARATE.